Ohio Attorney General and candidate for governor Mike DeWine meets with Gallia resident’s at the Bob Evans Farm in Rio Grande. 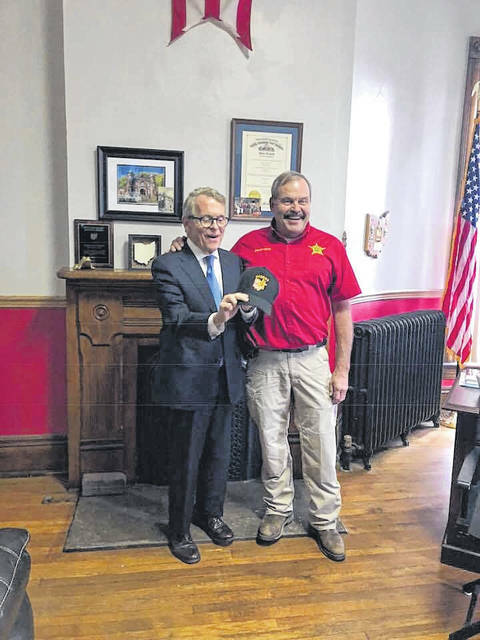 Ohio Attorney General Mike DeWine, left, visits with Meigs Sheriff Keith Wood, right. 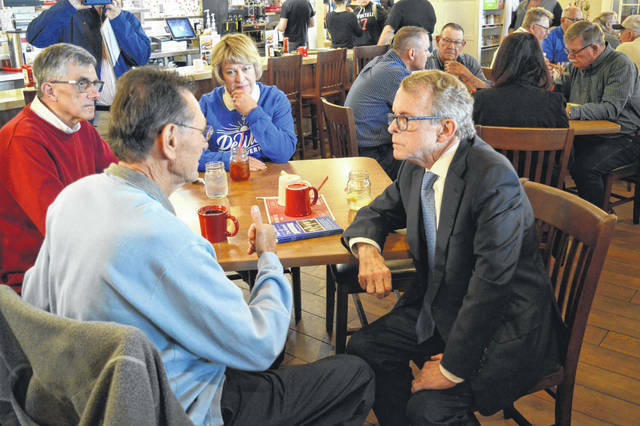 RIO GRANDE — Ohio gubernatorial candidate and Attorney General Mike DeWine stopped in Meigs and Gallia Counties on Monday to meet with area residents as election day fast approaches, Nov. 6. While also visiting Pomeroy, DeWine stopped in Rio Grande at the Bob Evans Farm to speak with diners and visitors. Bob Evans’ son, Steve Evans, was present to welcome DeWine to the region. DeWine said of the challenges his office would focus on include drug crisis through prevention and education. Every school child would receive some piece of education focused on prevention, every year, said the candidate.